Congress leader and the former Maharashtra chief minister Ashok Chavan said a ‘true congressmen’ will never make such remark. 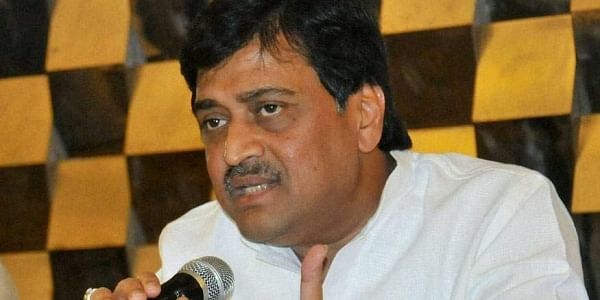 MUMBAI: A day after Congress leader Shehzad Poonawalla called his party's internal elections "rigged”, Congress leader Ashok Chavan on Thursday branded the former’s assertion as a publicity stunt and said there is no truth in it. The Congress leader and the former Maharashtra chief minister said a ‘true congressmen’ will never make such remark. “I don’t think there is any truth in what Shehzad is saying. Moreover, he is not a congressman. For two-and-a-half year there has been hardly any involvement in the party issues by this person particularly,” Chavan told ANI. “I think whatever he is doing is only to gain publicity,” he added. Earlier yesterday, Poonawalla, claiming that the poll process to elect the Congress president was stacked in Rahul's favour just because he belongs to the Gandhi family, took to Twitter and said, "Raising an issue nobody in my party - the Congress will have guts to raise- my conscience will not allow me to stay quiet anymore on Dynasty/ sycophancy." An office-bearer of the Maharashtra Congress, Poonawalla had earlier told the media he would want to contest the election if it was conducted in a genuine manner. Adding to this, he told ANI, "I think there should be only one ticket in one family, be it Shehzad Poonawalla or Rahul Gandhi." However, a letter by Shehzad addressing Congress vice president Rahul Gandhi reveals that he had taken up few matters with him earlier on November 15, but to no avail.